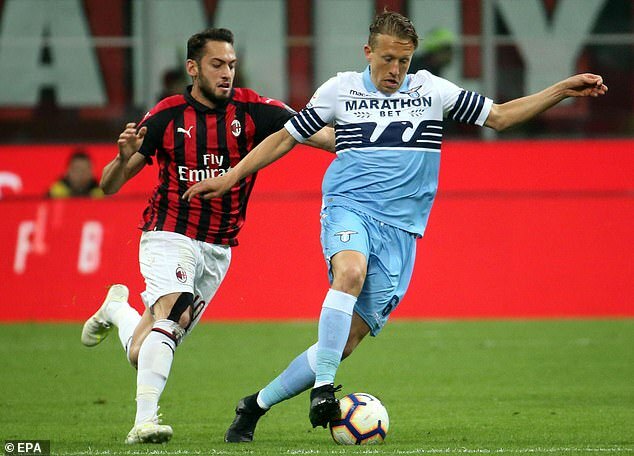 Lucas Leiva has denied accusations that he verbally abused a disabled AC Milan press officer during Lazio’s 1-0 defeat at the San Siro. A report in Italian newspaper Il Messaggero alleged that the former Liverpool midfielder told the wheelchair user to ‘stay seated and shut up’ during Milan’s heated 1-0 win. But Leiva has stringently denied the accusations, labelling them as ‘false and unfounded’. The Brazilian wrote on Twitter: ‘I’d like to make it clear that the accusations recently made about me after the Milan game are totally false and unfounded. ‘It’s my concern to highlight in a peremptory manner this regrettable and totally false fact about me, given I have never shown a lack of respect to anyone in 10 years as a player. ‘It’s absolutely not part of my professional conduct and it offends not only third parties but also me on a human level. ‘In a football game, when you’re taken over by competitive tension, you can say many things, but there is always a limit that I never cross. 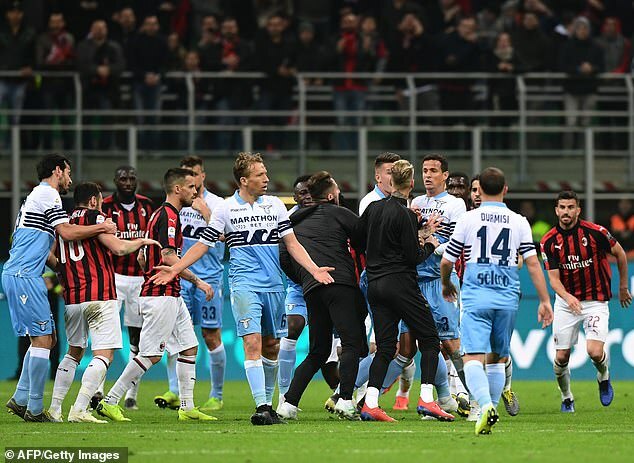 Acerbi had irritated Milan’s stars by claiming there was no comparison between the two team’s players, but the on-loan Chelsea star and Kessie expressed remorse for their actions, insisting it was only a ‘playful gesture’. Lazio have a game in hand over Milan but they are six points adrift of Gennaro Gattuso’s side, who sit in the final Champions League spot in Serie A.